Can I Use Cement Board to Make a Hearth for Woodstove? There is something comforting about having a wood-burning stove warming up the house on a cold winter's day. Beware of the hazards that can accompany this heat source. Incorrectly installed, you can set your house on fire. 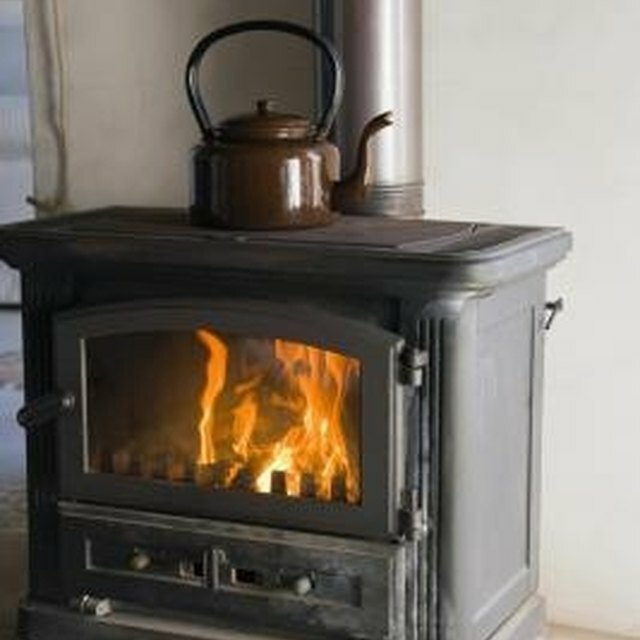 Prevent house fires by correctly installing your wood-burning stove. For insurance purposes, a wood-burning stove you purchase must be tested and certified to meet safety standards. The tests indicate the guidelines for installing the stove and requirements for minimum clearance. This information is printed in the manufacturer's installation instructions. To reduce the amount of floor space used by your wood burning stove, use a wall shield made from sheet metal, brick, stone or ceramic tiles. Some guidance regarding wall clearance with a shield are provided by the US. Department of the Interior's Bureau of Land Management. The convection air flow between the shield and stove prevents the heat from reaching the wall. You must check with your state fire marshal and local fire marshal for state and local regulations for wood-burning stoves. You cannot get home insurance for a non-certified stove. All wood stoves must be certified and approved by Underwriter's Laboratories (UL). Robbi Gunter has been writing for the internet for more than 15 years. Her diverse range of interests includes business marketing and credit, real estate, the stock market, nutrition, cooking, farming and personal development. She is an expert in internet marketing, search engine optimization, reputation management, blogging and social media. Gunter earned her Journeyman Cook certification from the University of Toronto.